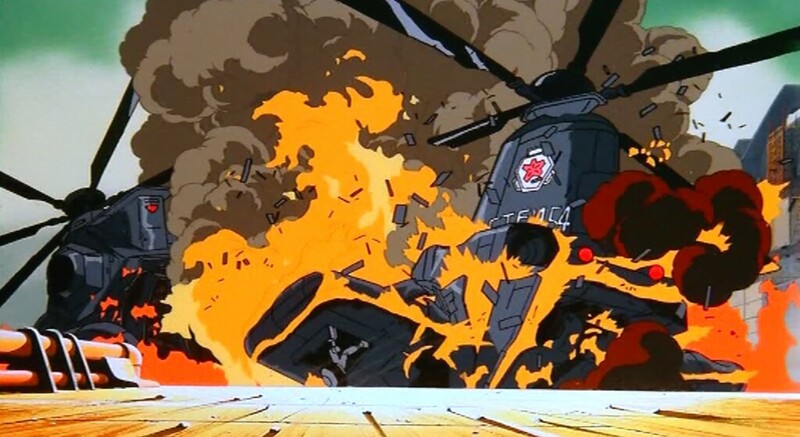 Akira (1988) - Neo-Tokyo is about to EXPLODE! 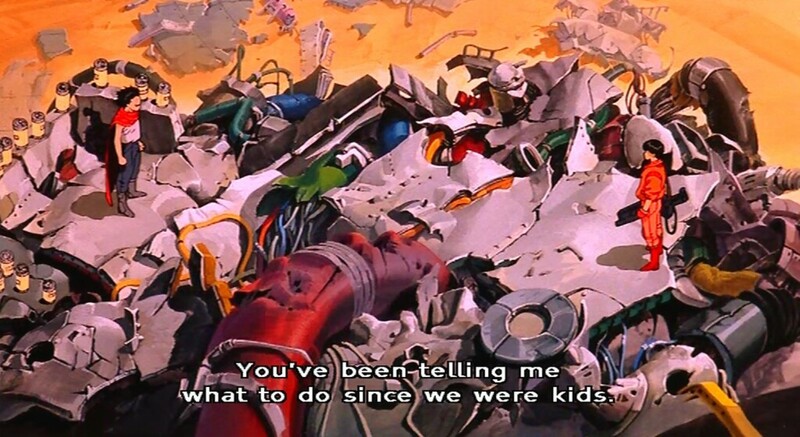 I first saw Akira on VHS in 1990. 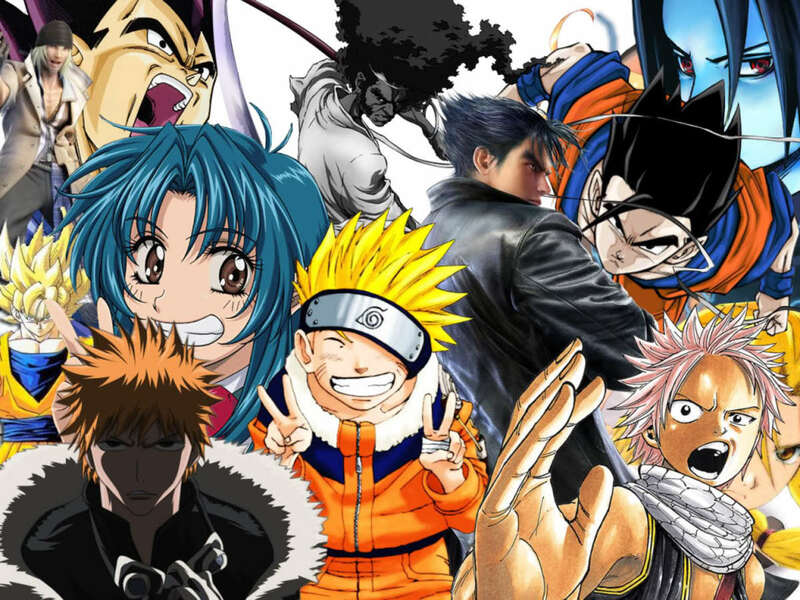 It was the first anime I had ever seen, it blew me away. This wasn’t The Little Mermaid this was something else, something weird, something I’d never seen before. I was hooked. I wanted more. By the end of the 90’s I had collected dozens of anime titles on video. 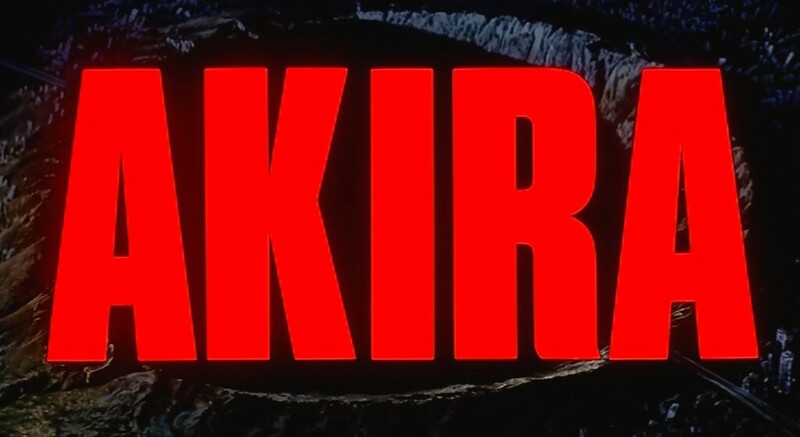 20 years later Akira remains my favourite, a landmark in animation and arguably the greatest anime of them all. 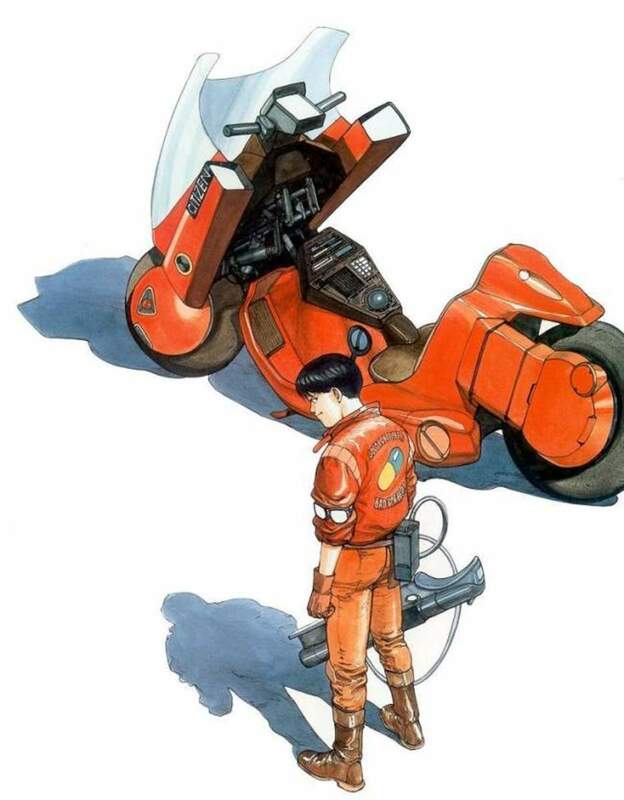 Akira was written and directed by Katsuhiro Otomo, adapted from his long-running manga (1982-1990), the film was premiered in 1988, two years before the manga storyline was finished. 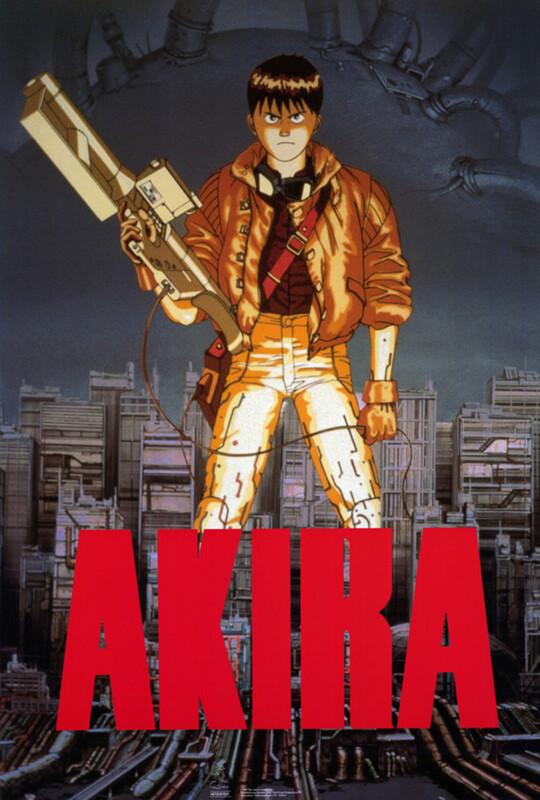 Echoes of the hugely influential Blade Runner are undeniable (the film is even set in the same year), but Akira owes less to an alleged "cyberpunk" sensibility than it does to Otomo's perspective on 1960s counterculture – crazed biker gangs, rioting students and corporate intrigue. Also influential were the wartime experiments on human guinea pigs and the effects of nuclear contamination from the Atomic bomb. 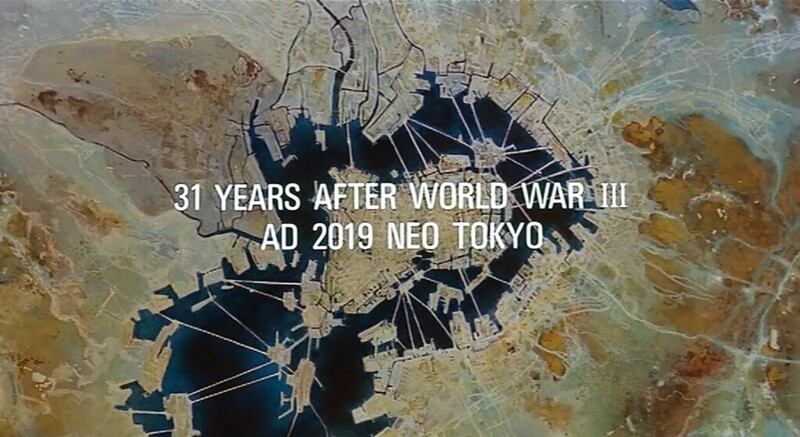 In 2019, 31 years after World War III, Tokyo has been rebuilt and renamed Neo-Tokyo. As the city prepares to host the Olympics, it is rocked by antigovernment terrorism secretly organized by a power-brokering politician. 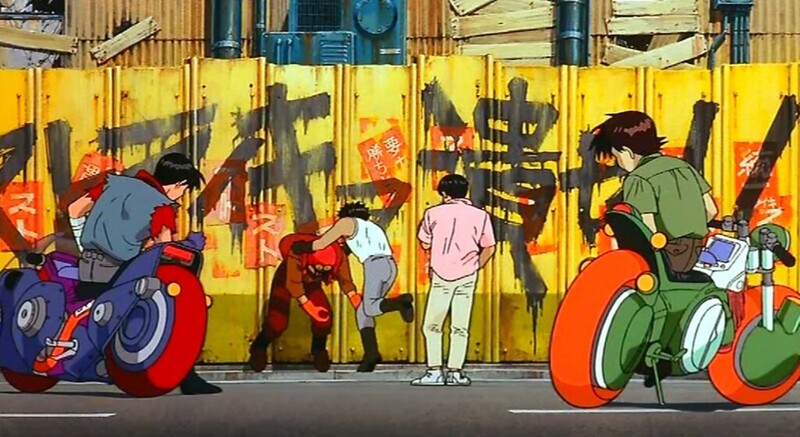 Kaneda and his biker gang are racing a rival gang, the Clowns, through the streets of Neo-Tokyo. Kaneda’s best friend Tetsuo crashes his bike into a strange child with the face of an old man. 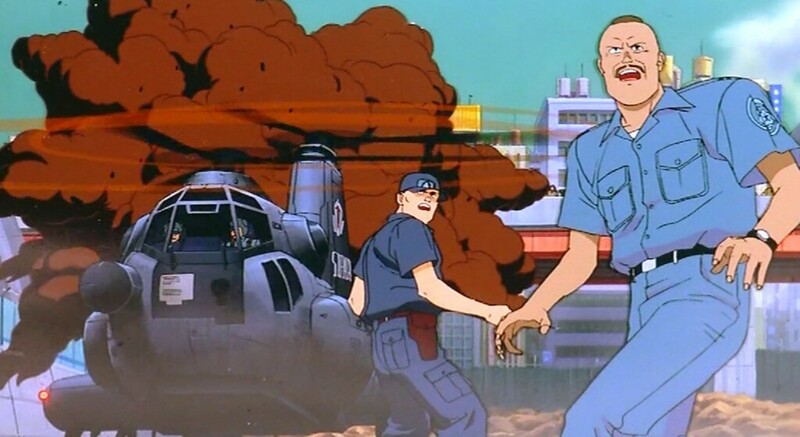 The military suddenly arrive and take the shaken Tetsuo away. 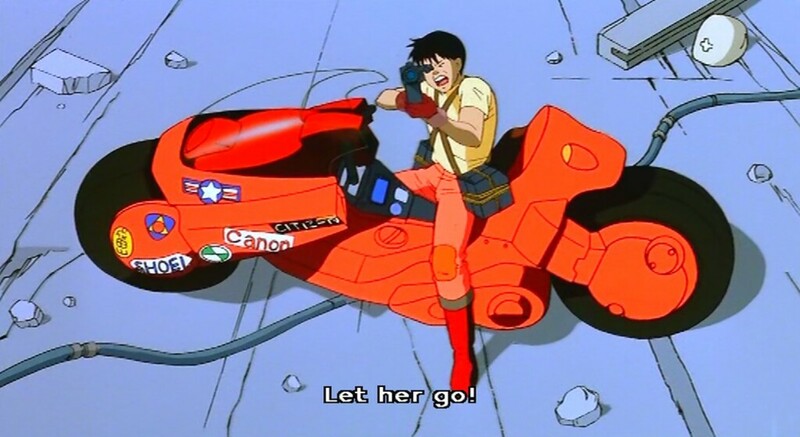 Shocked and angry Kaneda allies with terrorists to find out where they’ve taken his friend. 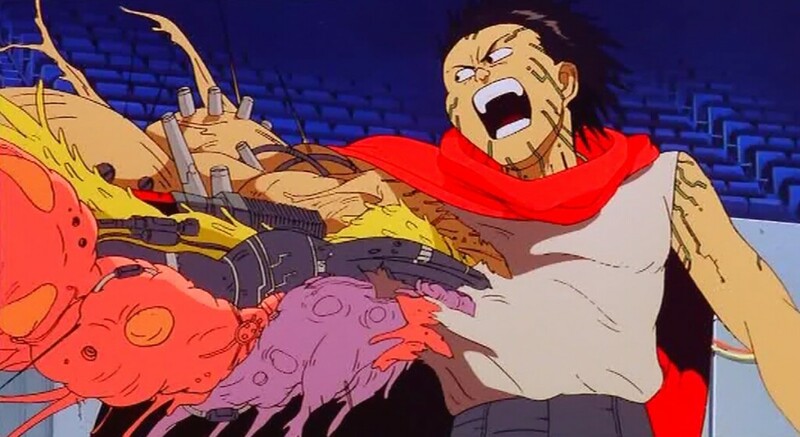 Tetsuo has been taken to a military hospital and experimented on, he begins to develop psychic powers and discovers that he is one of many experimental subjects in a secret government program to replicate Akira, the human bio-weapon that destroyed Tokyo in 1988. 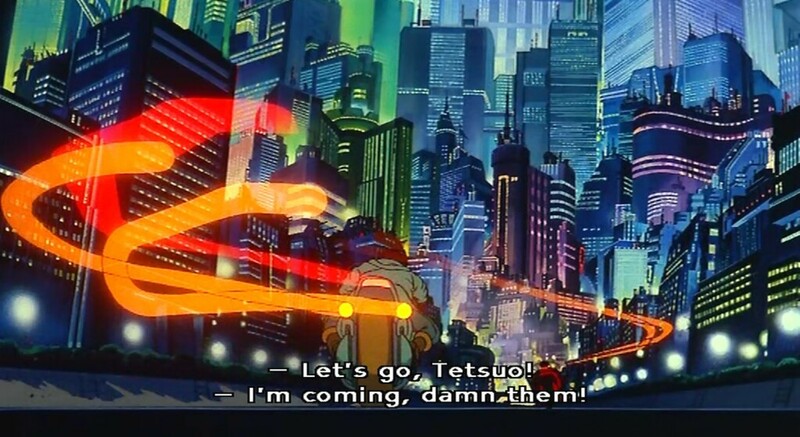 Orders are given to kill Tetsuo if his powers escalate beyond their control. 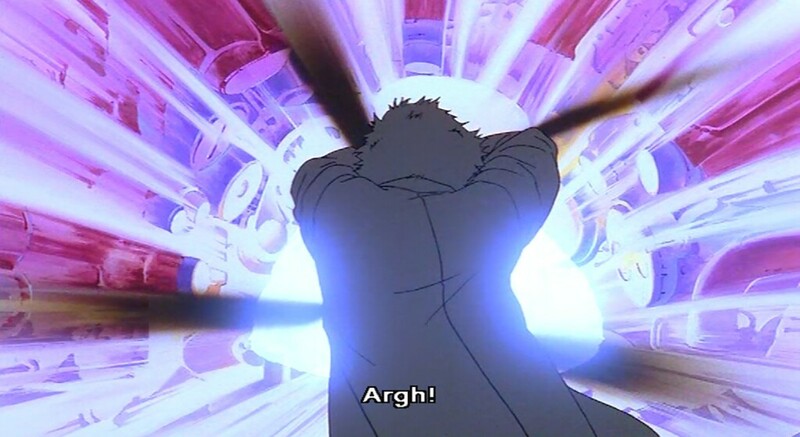 Tetsuo encounters the Espers, aged psychic children working for the military, and on reading their minds he finds out that Akira is in cryogenic storage below Neo-Tokyo's new Olympic Stadium. 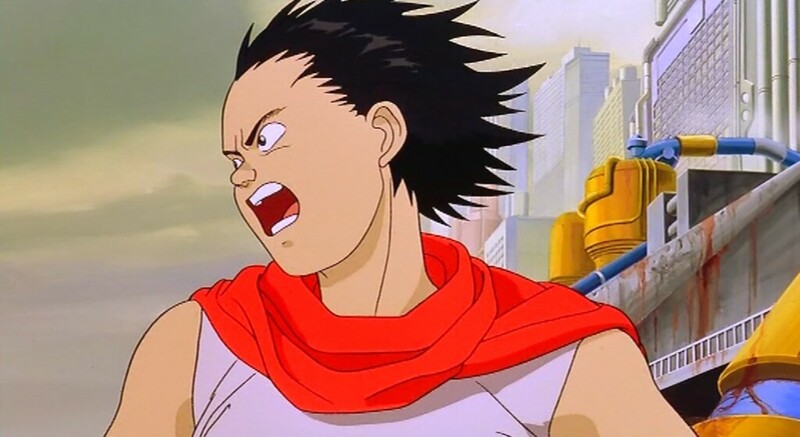 Now mentally unstable Tetsuo escapes from the hospital and goes on a bloody rampage. 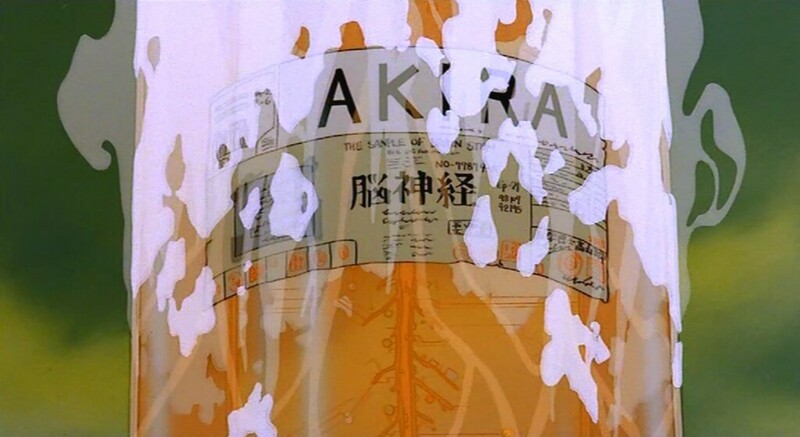 He arrives at the stadium and discovers the remains of Akira stored in glass jars in a hidden chamber. 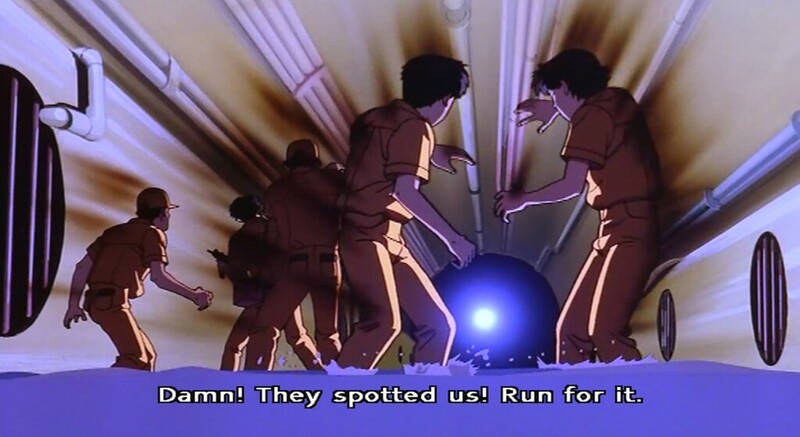 Kaneda and the military attempt to stop him and all hell breaks loose. 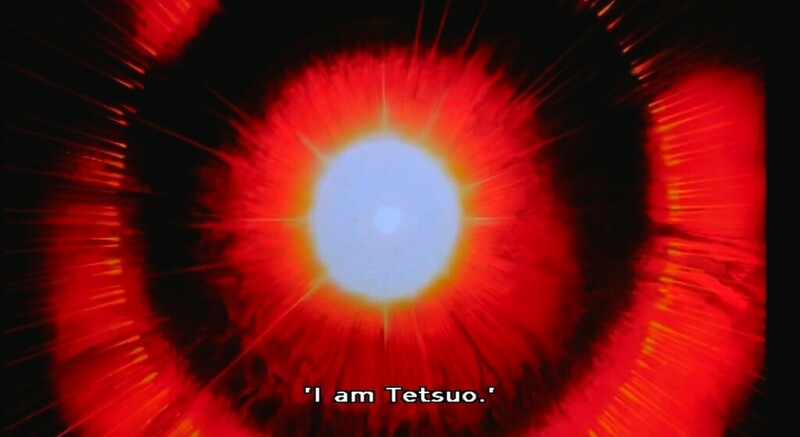 Tetsuo finally loses control of his psychic powers and starts to mutate, transforming into a giant blob-like monster. 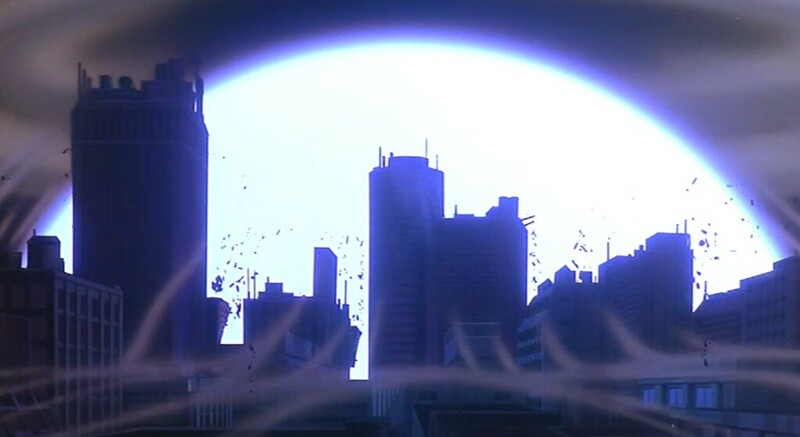 The Espers, fearing that Tetsuo is now unstoppable resurrect Akira, resulting in a massive explosion which obliterates most of Neo-Tokyo. 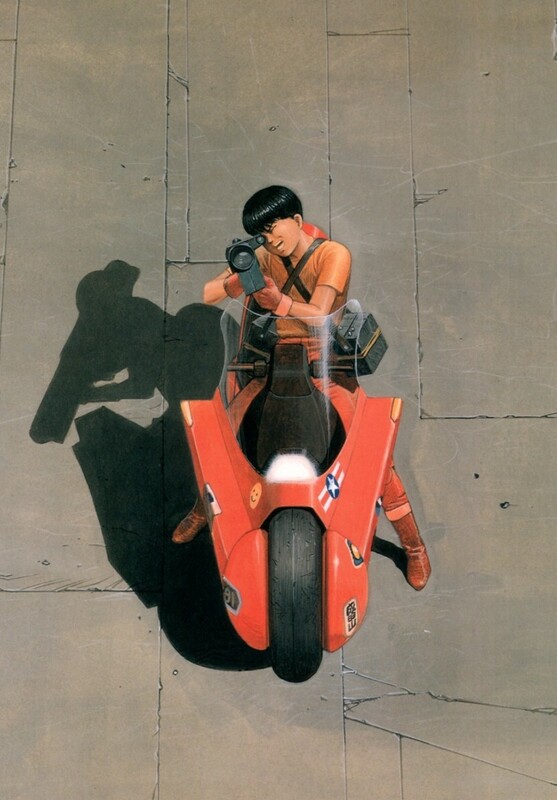 Akira is a visual tour-de-force, including experiments in digital and analog animation that were to stun audiences worldwide, enjoying greater success abroad than in its country of origin. The movie consists of 2,212 shots and 160,000 images, using 327 different colours, 50 of which were exclusively created for the film. 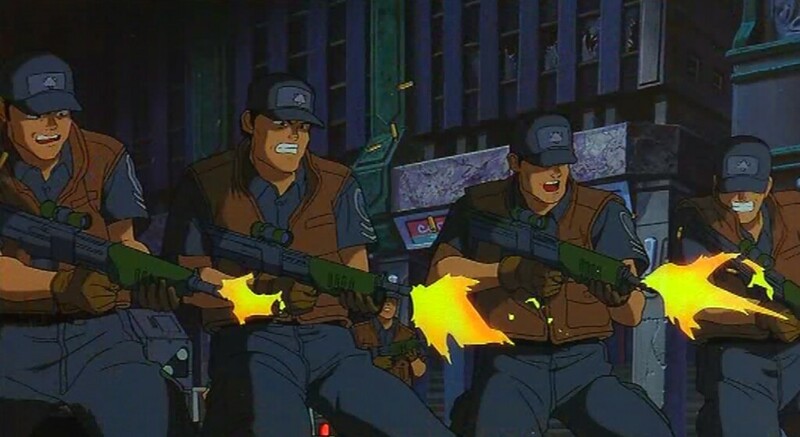 Japanese animators of the time would usually cut corners by having limited motion, such as having only the characters' mouths move while their faces remained static. 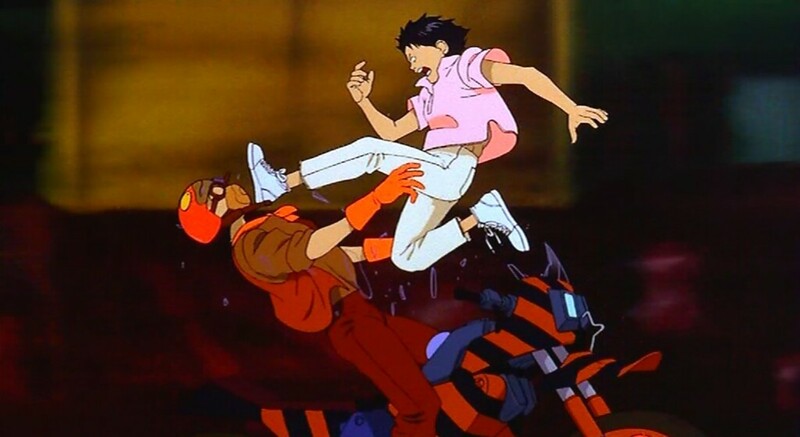 Akira broke from this trend with fluid motion, detailed scenes and lip-synched dialogue. 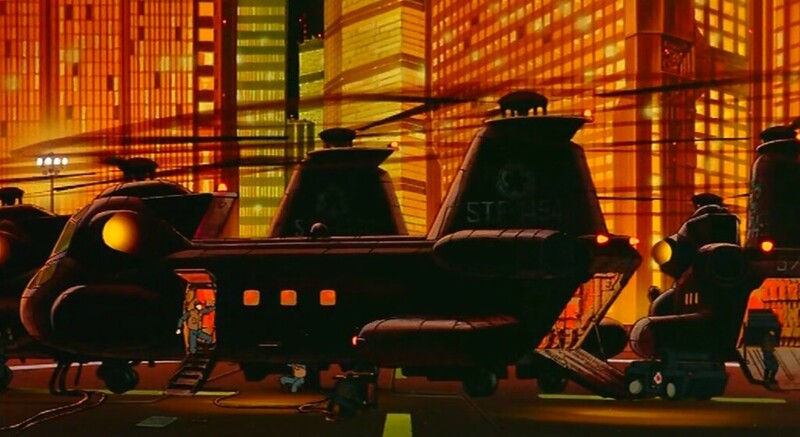 Akira was the first anime to break into western consciousness, today it remains fresh and exciting, easily holding it’s own against two decades of massive technical advancement. 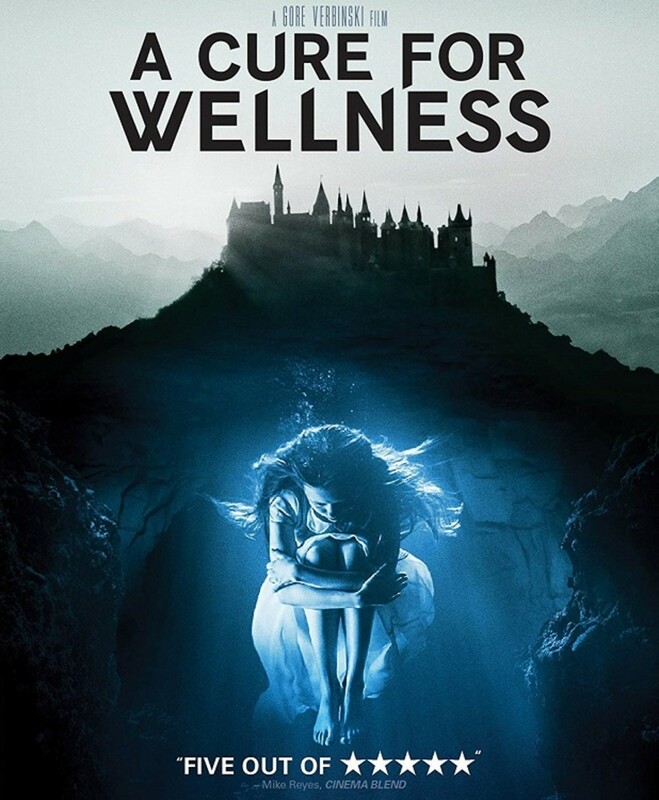 The production budget was allowed to spiral completely out of control by the director’s perfectionism, insisting on producing high quality images and partly because the writing is so solid – plot, pacing and characterization are superbly handled. 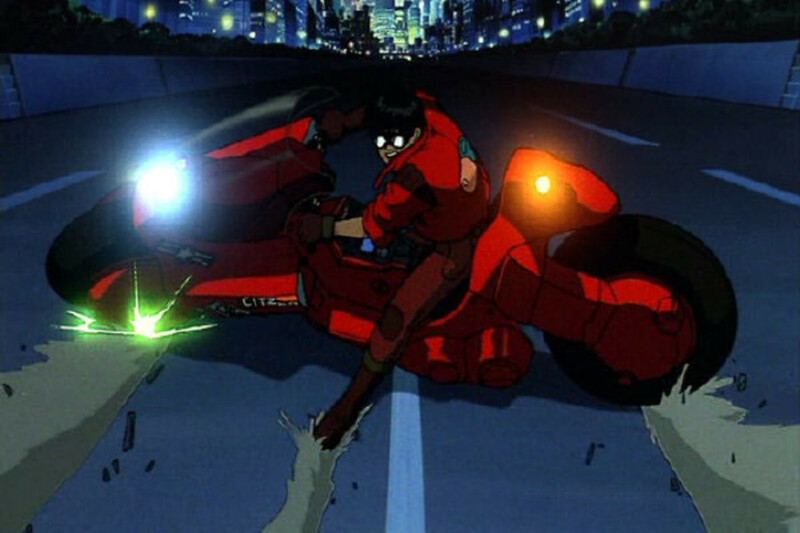 Akira was selected by Roger Ebert as his Video Pick of the Week in 1989 and gave the film a “Thumbs Up” in its 2001 re-release. It is currently no.40 in IMDB’s Top 50 Animated Films. It also appeared in Time Magazines list of top 5 anime DVDs. In 2009 Leonardo Di Caprio and Joseph Gordon Levitt were the rumoured stars in a planned live-action movie version. In 2011, James Franco, Justin Timberlake, Chris Pine and Keanu Reeves were all rumoured to be in the running to play Kaneda, while Andrew Garfield, James McAvoy and Robert Pattinson were rumoured to be in talks for the role of Tetsuo. Angry fans fueled by casting rumours have set up a petition on Facebook protesting the use of non-Asian actors in a live-action version of the anime. 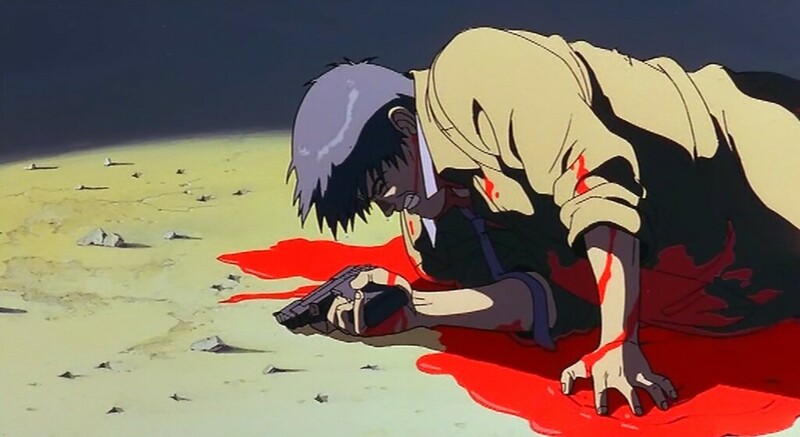 The English language version of Akira was re-dubbed in 2001 and is closer in meaning and tone to the Japanese original, although the Japanese voice acting is so strong and emotional that it’s worth watching the subtitled version. The film was released on Blu-Ray in the UK in June 2011. Thanks Steve, your comment is greatly appreciated. As usual, you put together arguably one of the most detailed hubs about this movie that I've ever seen. But then again, you've always seemed to put a lot of detail in almost any film you do these references to. Personally, I think this movie shouldn't be remade at all, as some animes just wouldn't translate well into live action films. 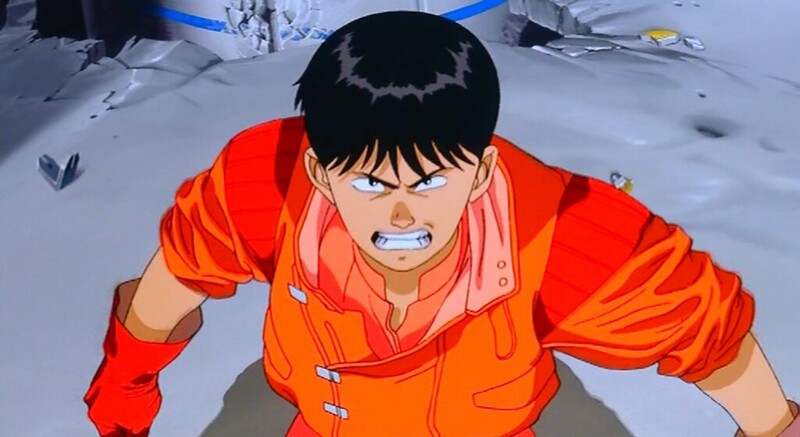 Don't get me wrong, I'm not saying that it can't be done for "Akira", but to quote Roger Ebert and Gene Siskel when they criticized the remake of "Psycho", "Why would you want to improve on perfection?" 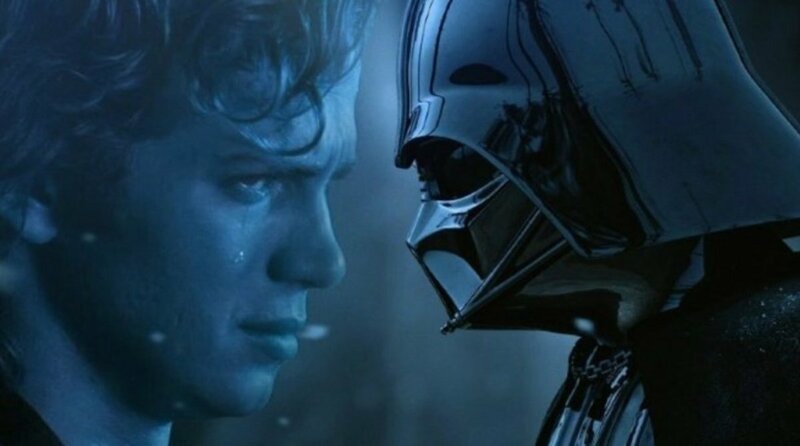 That's basically how I feel whenever I hear about this movie being remade for live action. It's already a perfect anime film with a great story, and amazing visuals, so why would you want to try to screw that up? Oh well. Maybe it'll turn out better or worse, but it'll be interesting to see how it turns out. Great job as always. Akira is easily the best of Japanese animated movies....I remember reading about Akira and wanting to see it.....but I somehow got some weak copy cat movies instead....but I eventually found a copy.....excellent story with some very impressive drawings....I am surprised that the movie has not been re-done in computer-animated fashion. Just think what Pixar could do with that world. Voted up and awesome. I usually alternate between the English and Japanese dubs. 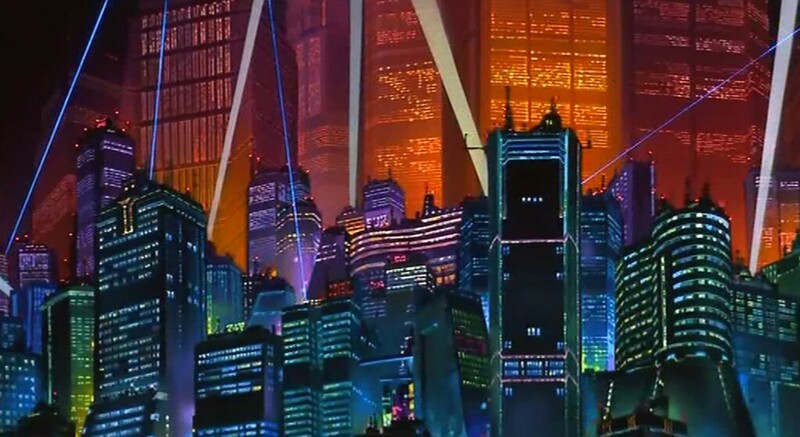 I'm curious about the live action movie, if it's not set in Neo-Tokyo or even called Akira, what's the point? 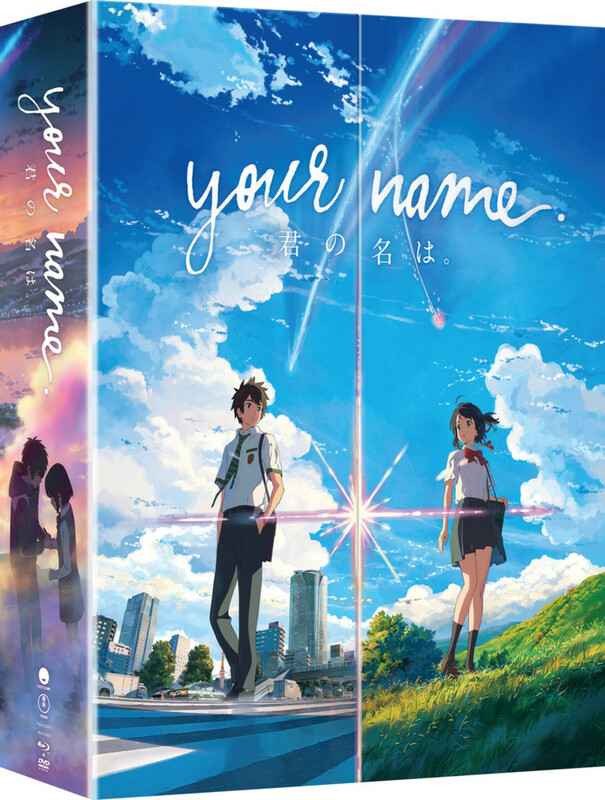 The blu-ray is coming out next week here in the UK. I have it on order from Amazon. Compiling this hub has really got me looking forward to watching it in HD. 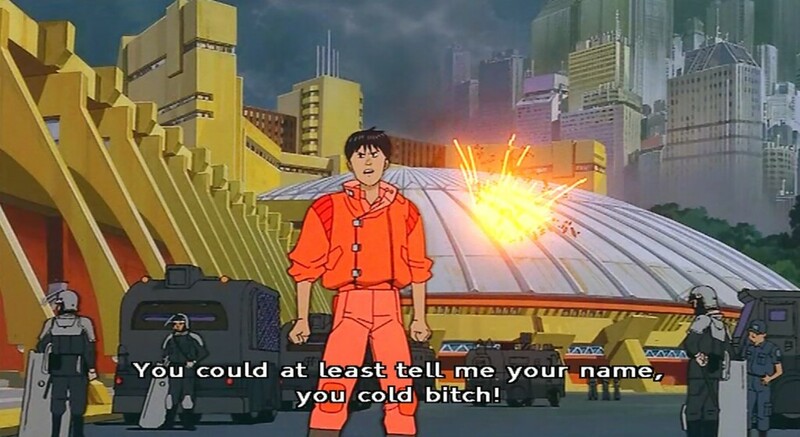 Akira is such a great Anime film. Ground-breaking and just as entertaining today as it was 20 years ago. I prefer the subtitled Japanese version over the dubbed American version, but either one makes for good viewing. 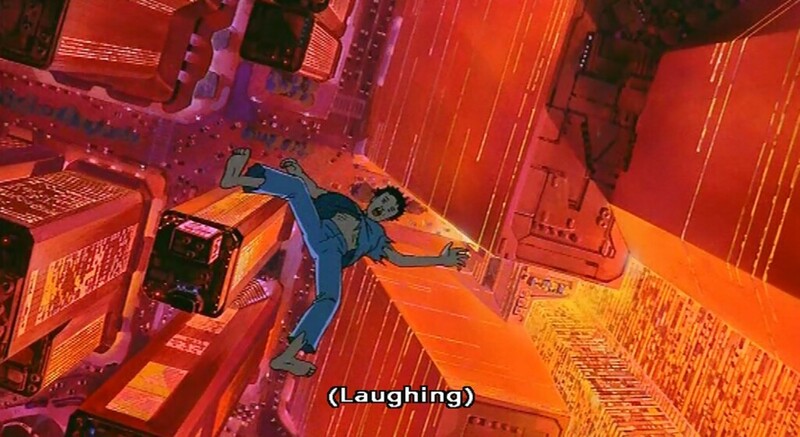 It's too bad that animation is considered kid's entertainment in America, whereas its not unusual in Japan for drama or horror or comedy films to be done in animated form. 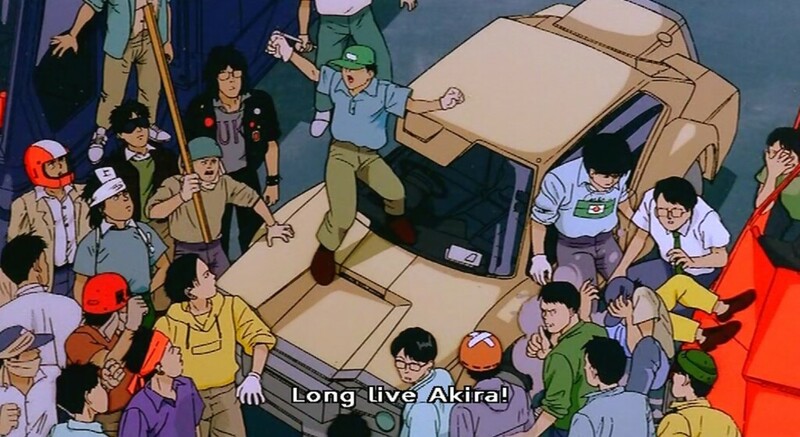 I keep hearing about the live-action American version of "Akira" but it's been delayed for years. Now they're saying 2013, but they still have no cast. I'm not sure if I even want it to be made, after the travesty of "Dragonball". I can understand the diehard fans wanting it to be faithful the the manga and be set in Japan. I've heard it will be set in Manhattan instead. I wonder if it'll be called Neo-York? 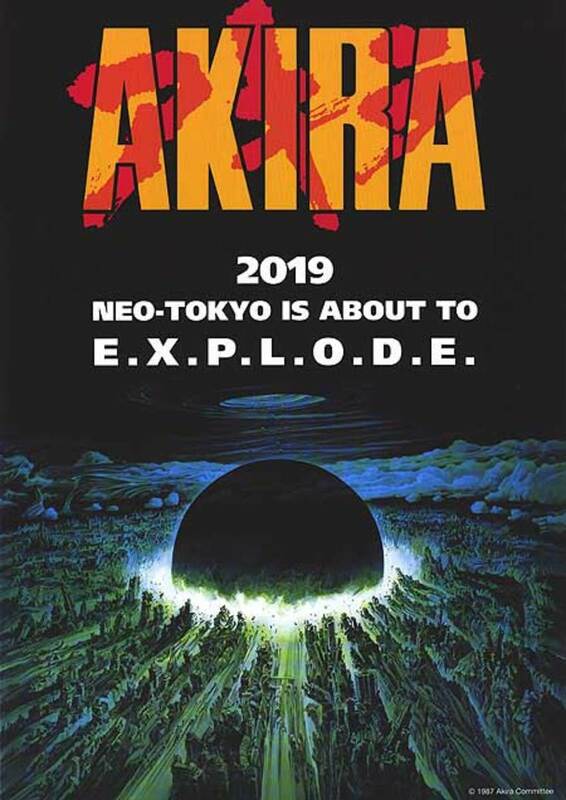 Will they have to change Akira's name to something more American? 'Ralph' or 'Fred' just don't have the same ring.